Most of the industrial control panel projects are unique and almost all required custom build solution. For small custom build solution, it usually means higher cost and longer lead time. There is no way around it for custom build project until now. 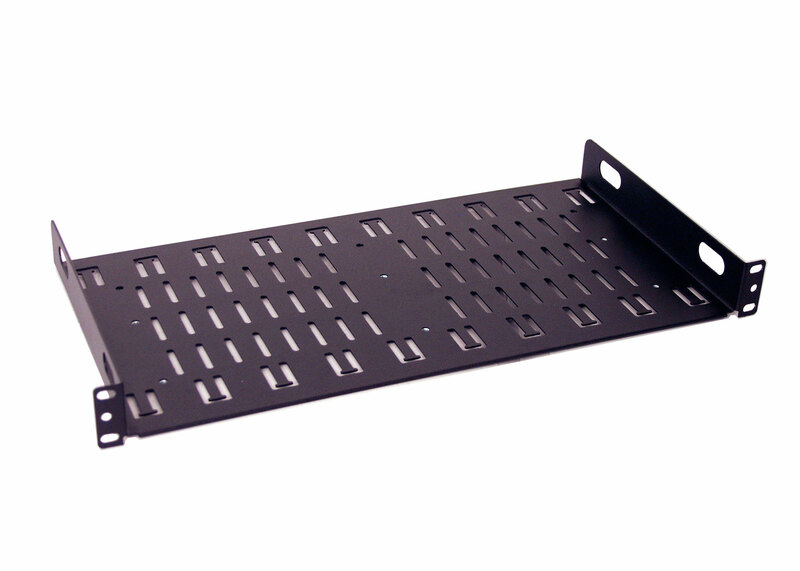 Introducing the new 1U Rackmount horizontal mount din rail shelf. IRP20123S11 offers traditional panel fabricator a way to reduce cost and shorten lead time for small and larger projects. Our industrial control panel (ICP) solution offers simple and easy way to be integrate into any ICP design. 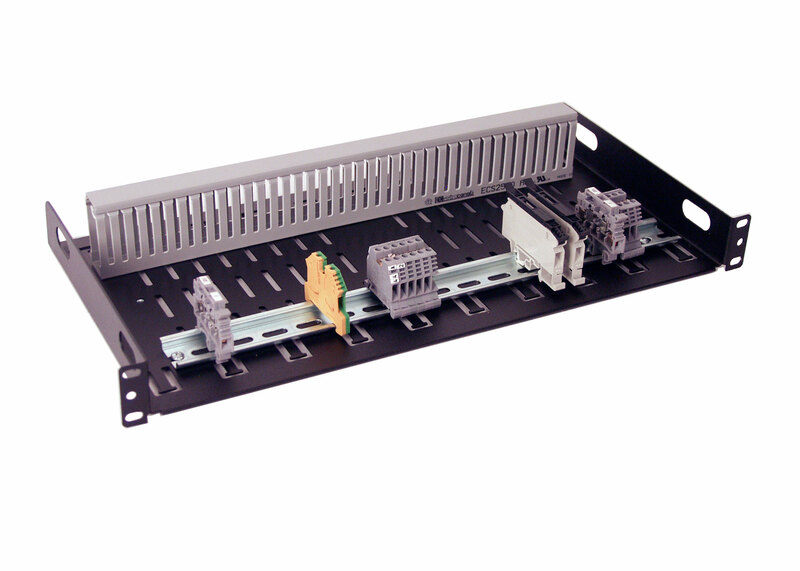 We utilize existing EIA-301 19” rackmount cabinet standard for our product design. 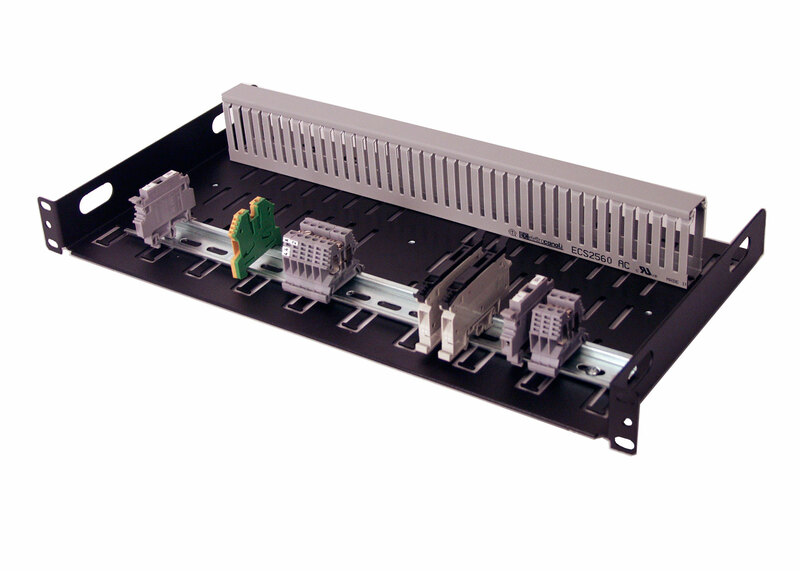 Since, EIA-310 19” rackmount cabinet is widely used in the telecom and datacenter industry, panel fabricator or in-house engineer can easily order 19” cabinet from almost any e-retailer or local reseller at very competitive pricing. EIA-310 19” cabinet offers excellent air flow, security and protection from environment. It is available in many size ranging from 13U up to 47U. The mounting platform can be as simple as a 2 Post relay rack to a fully enclosed 4 post cabinet with a build in air conditioning unit. With so many size and shape to choose from, you will not have any problem finding a suitable size enclosure for your project need. 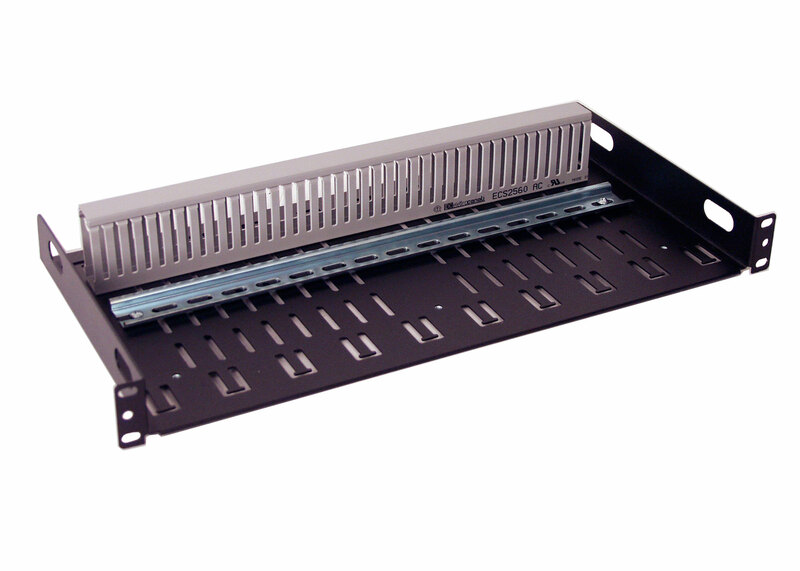 IRP20123S11 1U rackmount din rail shelf is design to work with any standard EIA-310 rack cabinet. 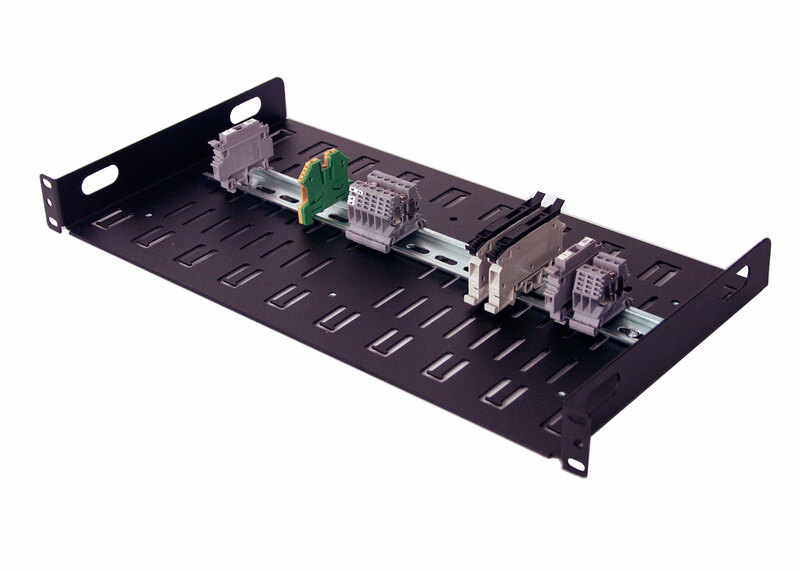 Our unique DIN Rail mounting system allows ICP engineers to pack more DIN Rail equipment within the stander EIA-310 rack space than any other similar design on the market. You can provision the DIN Rail and PVC Wire Ducts horizontally. 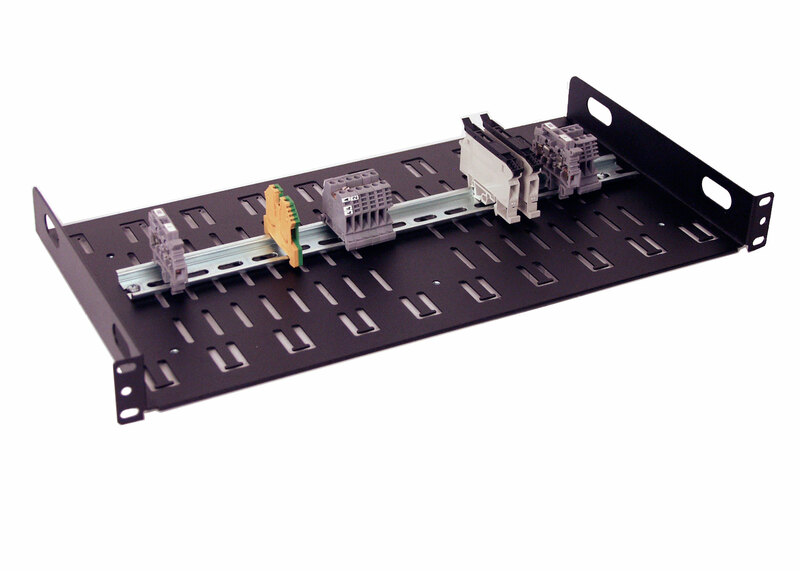 IRP20123S11 Din rail panel offers the simplest way to route, organize, and store control cables connected to your Din Rail Equipment. IRP20123S11 can help you to deploy your small or large project with in your project time frame and within budget. Easy to install and integrate into industrial control panel design. Mounting DIN Rail devices horizontally. (1) 7.5mm height Din Rail included. 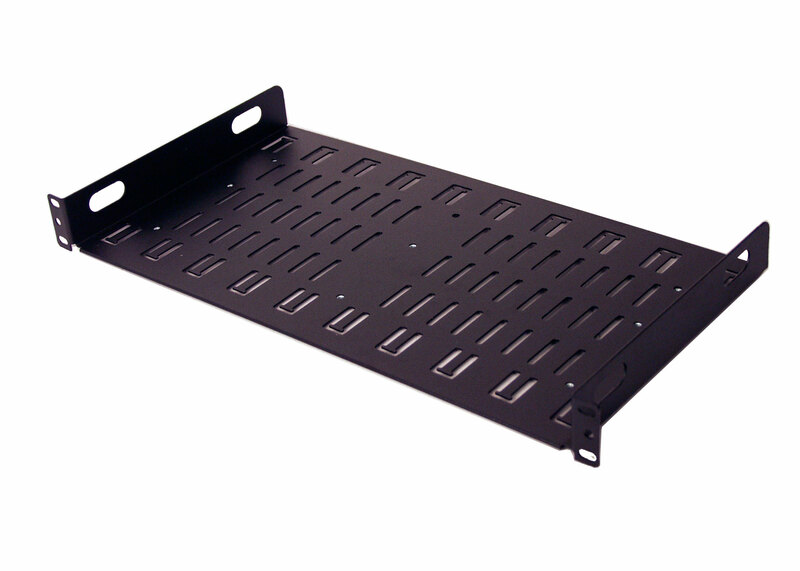 Supports any standard EIA-310 rackmount cabinet. Buildin (10) T shape cutout for cable ties at front and rear side. Vented slots for air flow. (2) OB cable access ports on both side. Mounting Hardware Included (4) #10-32 rack screws, and (3) M4 screws. Assembly Required YES, only for PVC wire duct. 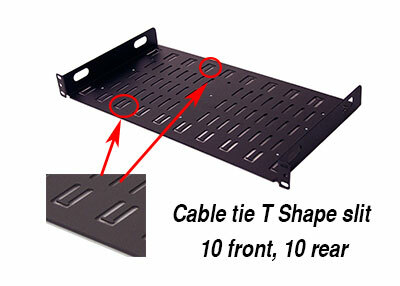 Max Load Load Capacity for panel 40LB Max. 4 3D STEP and DWG files available upon request. Need major or minor modification? Call for detail. Ideal for Automation, Process Control, Testing Equipment, Clean room, Solar and Wind Energy industry.